Buy All-in-one Brother MFC 5460cn with CISS with CISS and make 30 times more quality prints for the same money! Pay only 0.04 USD for A-4 full color print! Brother printer MFC-5460CN is an office version of an вЂњall-in-oneвЂќ device. 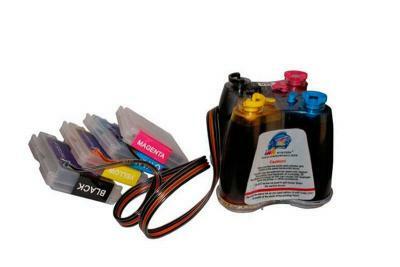 This is a printer of the third generation of inkjet MFDвЂ™s, that Brother Company elaborated together with famous designers (product architects). Each time, when Company offers its innovative design decision, it improves the inner construction of devices to reach higher efficiency and to improve its operation abilities. Primarily this multifunctional device was considered as a device for office work. So, it was provided with the Ethernet 10/100 Base-TX network card. It also has an automatic document feeder for 35 pages. This printer met with approval of users in such cities as New York, Washington, Boston, Detroit, Chicago, and was confirmed with enthusiastic reviews. This device will fit any small office or working groups. 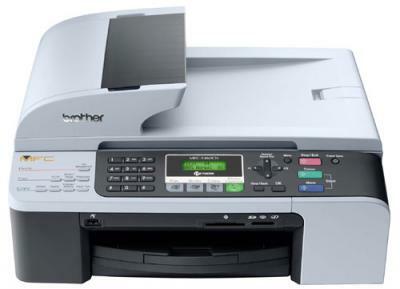 Brother MFC-5460CN wireless inkjet all-in-one Printer as well as it fellows Brother MFC-W415W and Brother MFC-J630W from a new line of MFDвЂ™s for usage in small offices and at home, has a stylish and significantly improved design. This printer has 2.0 USB port and supports a PictBridge function. Due to such characteristics it provides direct printing from digital cameras and mobile telephones with PictBridge standard. This function is available in most products of all famous manufacturers. The Users just have to connect the compatible device to the MFD, choose the needed image and print it. Technical coordinator of Brother Company claimed, that Innobella technique ensures better resolution of details, due to which you are able to get prints with a higher quality. This printing quality is even comparable with 6-color models printing. From its fellows in this class MFC-5460CN Brother inherited such functions as PhotoCapture Centre function, which provides direct printing from memory cards and saves images onto them (CompactFlashI/II, Secure Digital, xD-Picture, MultiMediaCard, Memory Stick Pro, Smart Media). Carton Dimensions (W"xD"xH")	20.7" x 18.7" x 12.8"
Carton Weight (lbs)	23.8 lbs. Unit Dimensions (W"xD"xH")	17.3" x 15.4" x 8.9"
Unit Weight (lbs)	17.6 lbs.